It Is Fixed Appliance Repair is the one and only company you need for all your installation and appliance repair needs. We work fast and keep our prices affordable. When you need installation or appliance repair in Woodstock, GA call It Is Fixed. We pride ourselves on our friendly, professional service. Our clients love our affordable prices and superior service. When you call It Is Fixed Appliance Repair, you know we are committed to providing you with the best service possible. Other companies charge a service or mileage fee on top of repair or installation fees. We waive our expert diagnostic fee when you complete a service with us. All of our technicians are licensed, insured, certified, and factory-trained to service major household appliances. 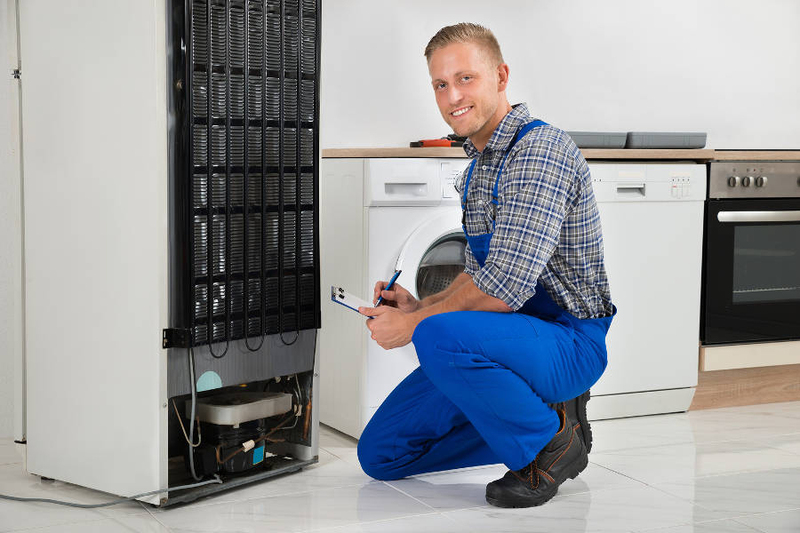 We guarantee parts and labor on all appliance repairs and installations for at least 90 days after service. It Is Fixed Appliance Repair believes in the human touch. When you contact us during business hours, you will speak to a person, not a machine. Unlike other companies, we don’t close the doors and turn off the lights at five. We’re taking calls and scheduling service until 7:00 P.M. every Monday through Friday. Of course, you may not be able to meet a technician during the week. That’s ok, we work weekends too! We never charge for “emergency” service on the weekends. Our Saturday prices are the same as our Monday prices. When we book a service call for you, we’ll find the time that works best for you. We know how busy lives can be, so we don’t expect you to spend hours waiting at home for a technician. Our service windows are only two hours long. Better yet, we’ll send you a text or email notification when our technician is on the way so you can make sure to be there when the technician arrives. Our trained appliance repair expert will provide a full diagnostic service and give you a fair, upfront estimate for service. We don’t charge a diagnostic fee if you proceed with an appliance repair or installation with us. Here at It Is Fixed Appliance Repair, we strive to save you money. In fact, you can save $20 right now by requesting a service call online! Service rates vary based on the appliance, brand, and type of service required. Whether it is a simple fix or something more complicated, you can count on It Is Fixed to offer fair, competitive prices. The list below may help you determine what you may pay for appliance repair or installation in Woodstock, Ga. Although charges may vary, the quality of our service is always the best! 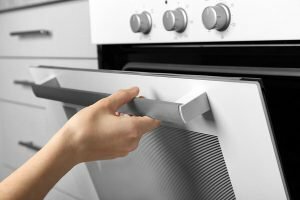 That rotten-egg smell isn’t your dinner going bad, it could be a gas leak coming from your gas stove/oven. It could indicate a hazardous condition that requires immediate attention. However, not all smells are an immediate cause for concern, check out our troubleshooting guide to see if it’s a fixable issue or time to call in a trained technician. When your washer won’t drain, it leaves you with more than just a soggy wet load of unfinished laundry, you also have to deal with all that water left over in your washing machine. It’s a problem that needs to be fixed pretty quickly. Take a look at our washing machine troubleshooting guide to see if it’s a fix you can handle before calling in a trained technician. Your refrigerator is the first line of defense against foodborne illness. With regular maintenance, many refrigerators will last twelve to fifteen years. Be sure to keep yours properly maintained by checking out our refrigerator maintenance guide. Great company. Fast response, polite technician, he worked really fast! They work Sundays! Loved the prompt response and same day service. Very professional and knowledgeable. I will hire them again if I need appliances repaired in the future. The appointment was kept. I received a phone call letting me know when the serviceman expected to arrive. The representative made the assessment and came back the next day with the appropriate part. The repair was made in an efficient and professional manner.